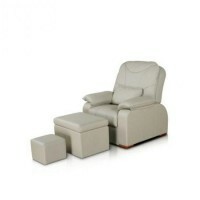 Pedicure chair KPE-3709, buy at the price of 1788 in Europe. Pedicure salon owners are responsible for the time spent by the client in their institution. A pedicure chair KPE-3709 becomes a reliable assistant for quality services of salons owners. 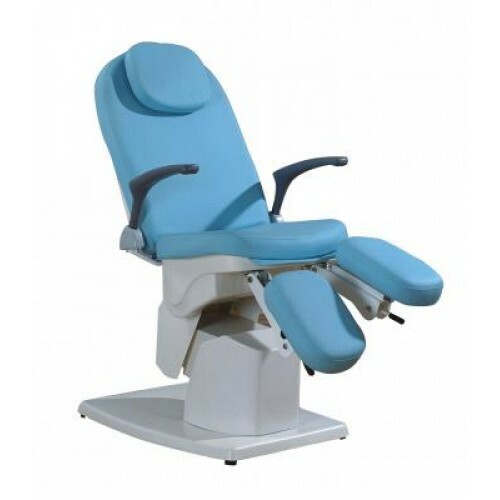 This is comfortable electric chair, which has four motors, which are responsible for raising and lowering the head, legs, the seat and the chair in horizontal position. Chair upholstery is made of high quality blue leatherette. It is not afraid of dirt and fine to clean with chemicals. 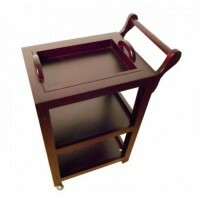 This chair will give your customers a sense of comfort and total relaxation at the time, when the pedicure master will do "magic" on their feet. The price of this couch is much cheaper than its competitors, and the guarantee of twelve months confirms the quality.